Okay, even though the game isn't complete yet, I'm sharing some of my sprite edits. Feel free to use them in your characters, sites, avatars, or whatever you want. Credits are welcome (there are some hardworks behind them, you know what sprite edit is xD). This week, the sprite work I share is Terry 's "new" stance. 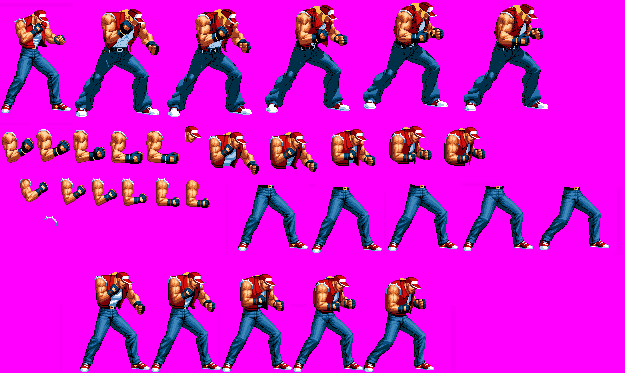 Taken from KOFXIII, this stance is originally from Fatal Fury 3. I got bored with the KOF96 stance and SVC stance is ugly as hell. 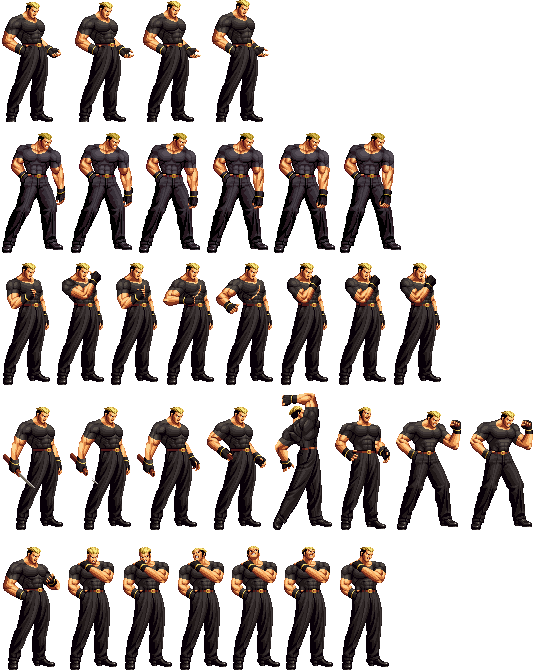 After Terry 's new stance, here are some sprites for Yamazaki Ryuji (KOF2003 version). Most are "updated" sprites (to fit the gethit anim for ex.). - Remade stance without "magic abs". - Edited "Real Bout" snake arm from Kof98um. - Fatal Fury 3 / Real Bout 1 winpose 2. - Knife in pocket without magic-abs, one of the two frames from the "Double return" move without magic-back, turning frame to fit remade stance, weak punch / snake arm finish frame to fit the remade stance. This week's edit is Wolfgang Krauser 's Real Bout Special DASH anim ! Yeah, because in KOF98um they made sh!t... I give you the original 98um sprite for reference. It was used in his Unlimited (OH!) Desire desperation move and probably in his EX dash (don't remember). Stuff in life, couldn't do any update etc etc... Anyway, here are few easy edits for Xiangfei. Done for her RB2 combos. 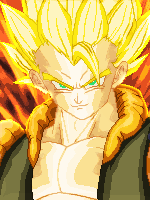 This is the stance animated. Motion of the hair behind the hat looks a little strange though. The head (and the hair of course) should have been 1 pixel higher to match the rest. Thanks kamenashi_kun, has long called for a new stand for my project Terry kof svc-style, but there was no response, so this animation comes to luxury. I leave a video with your new stand, and a palette animation kof 2002. First post updated ! New open source sprites ! Particulary on Yamazaki! The abs area is far better this way, and more realistic. Of yeah I think it's just the palette from Kof98um. Edited it and forgot to put the Kof2003 pal. xD Thanks. Lol, help him out mate!